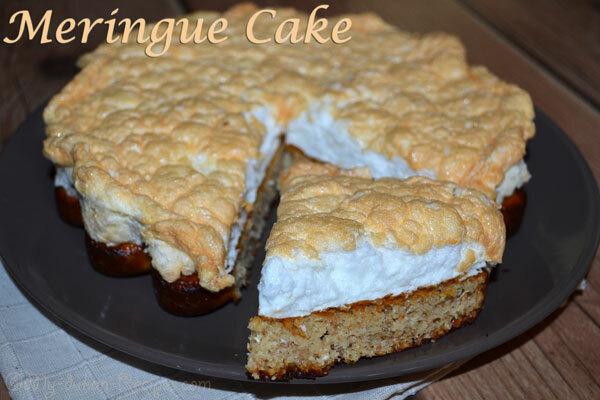 One of my favourite dukan desert. Not a difficult recipe, it will take you about 10 minutes to prepare and another 35-40 to cook in the oven. Preheat the oven at 170C/325F/Gas 3. Separate the yolks from the egg withes. 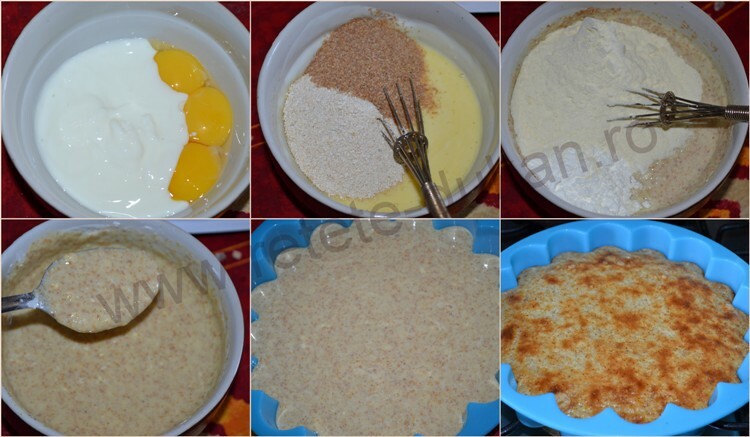 Mix the yolks with yogurt, brans, milk powder, cornstarch, sweetener, vanilla essence and baking powder. Put the mixture into a silicon mould (Ø 20cm) and cook in the oven for 15 minutes. Meanwhile for the meringue topping, whisk the egg whites with a pinch of salt in a bowl until soft peaks form when the whisk is removed. Slowly whisk the sweetener until smooth and glossy. Spoon the meringue topping onto the cooked base. Use a palette knife to smooth the meringue mixture in one sandwich tin and use a skewer to make peaks in the meringue mixture in the other tin. Return the cake to the oven for a further 20-25 minutes, or until the meringue is golden-brown. Remove from the oven and set aside to cool. Carefully remove the cakes from the tin and set aside to cool completely on a wire rack.